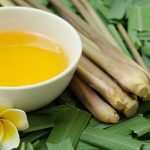 Citronella oil is a popular essential oil extracted from Cymbopogon Nardus, a certain type of lemon grass. The oil, taken out from the tall thin leaves of Cymbopogon through steam distillation, has a sweet and refreshing aroma with thin consistency. It is one of the most widely used oils in aromatherapy that comes with a wide range of health, skin and hair benefits. Lemongrass is also referred as ‘Gandhatrina’ in Hindi, ‘Nimma Gadi’ in Telugu, ‘Elumichai Pul’ in Tamil, and Nimbe Hullu in Kannada. 1. Citronella oil is a natural dewormer. It can eradicate harmful organisms (worms) from our stomach, small intestine and large intestine, thereby treating loss of appetite (1). 2. It is a natural detoxifier that helps our body get rid of harmful toxic materials and sometimes, prevents them from being active in our body. The oil is diaphoretic by nature (2), which increases sweating in our body and facilitates the detoxification by eliminating additional fat, oil, salt, uric acid, etc. 3. Due to its detoxifying property, it can also be used for healing orthopaedic problems like osteoarthritis, rheumatoid arthritis, etc (3). 4. It works as a natural diuretic. Regular use of citronella oil can promote the production of urine, which ultimately accelerates the detoxification. It keeps our renal system as well as entire body healthy (4). 5. The essential oil is extremely helpful in curing problems related to fluid retention. It maintains the water balance in our body and helps us stay away from spasms or cramping of stomach muscles (5). Its spasmodic nature and warming effects also aid a lot in abdominal cramps. 6. It is a great pain reliever. Be it muscle pain or joint pain, the application of only 3 drops of citronella oil on the painful region can do magic! However, it must be mixed with carrier oil prior to massaging (6). 7. Citronella oil has great anti-inflammatory properties (7). It offers calming and soothing effects for internal inflammation (in digestive tract, stomach, intestines, etc.) caused by certain drugs, alcohols, etc. The best thing about the oil is that it works very fast and gives complete relief from soreness. 8. Like all other essential oils, citronella also has strong antiseptic, anti-microbial and anti-fungal properties (8). It reduces the chances of developing infections in various internal as well as external injuries and heals the wounds faster. 9. The oil is also an effective antidepressant. It helps people get rid of gloominess and mental fatigue. It also works as a great mood elevator (9). 10. Citronella oil has a lemony aroma, which is very efficient in driving body odor away. Just a few drops of the oil can be mixed with bath water to get a refreshing body fragrance (10). 11. Being an awesome detoxifier, citronella oil keeps our internal system clean and pure, which reflects on our skin. By using this oil, you can easily get a healthy and glowing skin. 12. Its antibacterial properties are helpful in reducing skin infections like acne, warts, boils, etc. The antiseptic nature of the oil also prevents the wounds and injuries from getting septic (11). 13. Application of citronella oil on skin can aid our complexion to a great extent. It improves the skin tone by making it smoother and also tightens up the skin pores effectively. 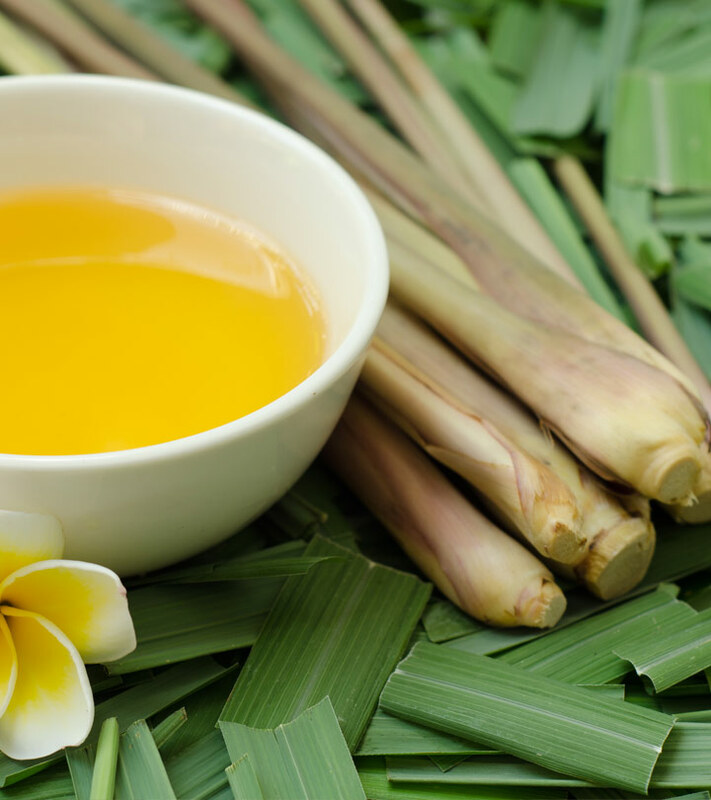 Due to various skin benefits, citronella oil is used in a number of skincare products including sunscreen lotions, acne removal creams, oil control creams, etc. 14. This essential oil is also a good insect repellent. It can be applied on the skin to avoid insect bites, which eventually prevents allergies (12). 15. The best use of citronella oil for hair is controlling oil on the scalp. It can be availed as spray and is very effective in eliminating excessive greasiness of hair. 16. Apart from conditioning oily scalp and hair, it soothes and softens them too. 17. Citronella oil can be mixed with shampoo to add volume to the tresses (13). It also helps deal with frizzy hair by de-tangling the hair strands properly. Hence, start using citronella oil today and improve your health, skin and hair.